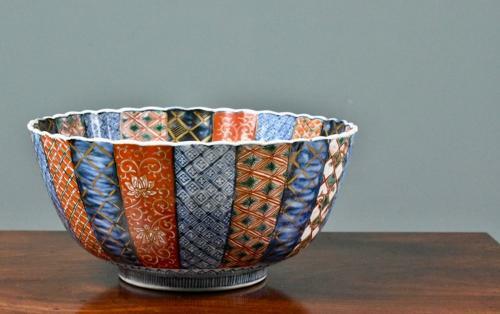 A Meiji period, Japanese Arita Imari large bowl with rich, vibrant colours of white, blue, green and iron red in segments of various designs replicating textiles. The design is repeated to the inside with a floral motif to the centre. A striking bowl remaining in excellent condition. Circa 1880.